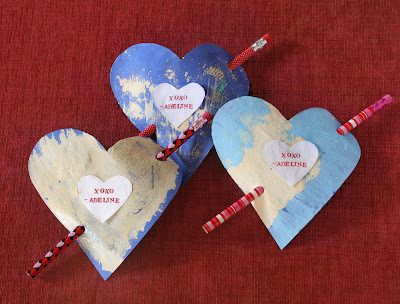 These fun and simple DIY Valentines were easy enough for a 3-yr-old to make! And the only thing we actually bought was the pencils, which only set us back $2. 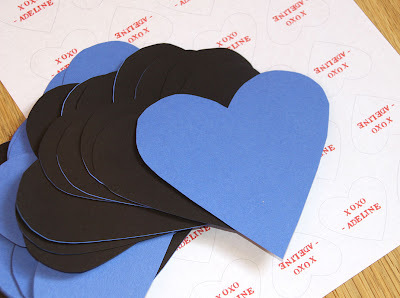 The heart shapes were cut from 2 colors of construction paper, then glued together. We purposely chose to avoid the obvious red and pink colored paper. Next we stamped our message on a sheet of paper, then scanned the image into the computer and created an entire sheet of messages to be printed. 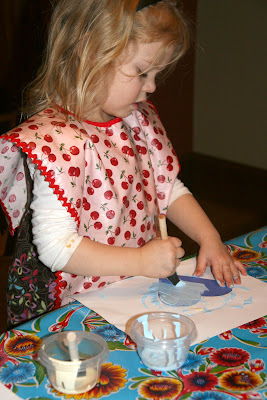 My daughter adds the final touch with acrylic paints and glitter. The inner heart message sticks directly onto the wet paint background. When the cards are dry, use a hole-punch in the upper right corner and lower left then insert the pencils. Can you feel the love? Plaid is the fad these days and what better way to embrace the cold then to make a customized Lady Lumberjack shirt. Drive on down to the local thrift store and pick up the largest men's shirt you can find. 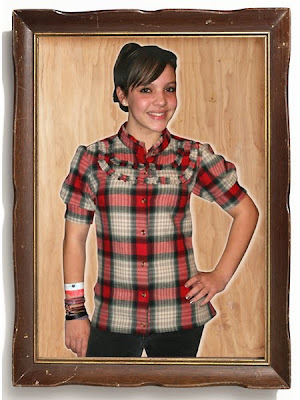 This project will show you how to make a fitted silhouette with custom details like raw fringe and puffed sleeves. Click here to view the entire project on Craftzine.com! * Extra special thanks to my niece Kaili DeHart who braved my needles and scissors to be my muse and model!